New iOS 8/ 9 and iOS 10 for old iPhone, iPad model getting stuck app during download/ Update or install the app store. On my personal experience and my readers experience on the stuck app on iPhone/ iPad, I recommended the possible solved solution for your iPhone 7/ 7 Plus, iPhone 6S, iPhone 6S Plus, iPhone 6/ 6 Plus, iPhone 5S/5, iPhone 4S/4. What do you need to do? 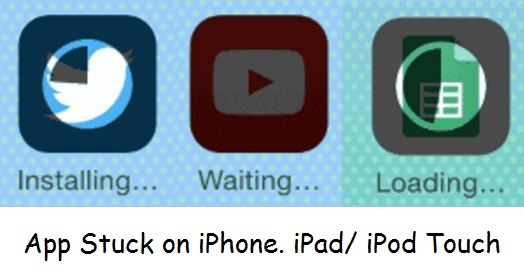 For “waiting” status on Downloading or installing new or update the app from app store. Note: Low internet speed one of the most hesitating reasons behind stop app download from app store. So measure Mobile data/ WiFi internet speed on Speed test checker app. Available for all Apple devices and Platforms. (I am not talking about WiFi signal strength, Sometimes full signal strength lose data packet). 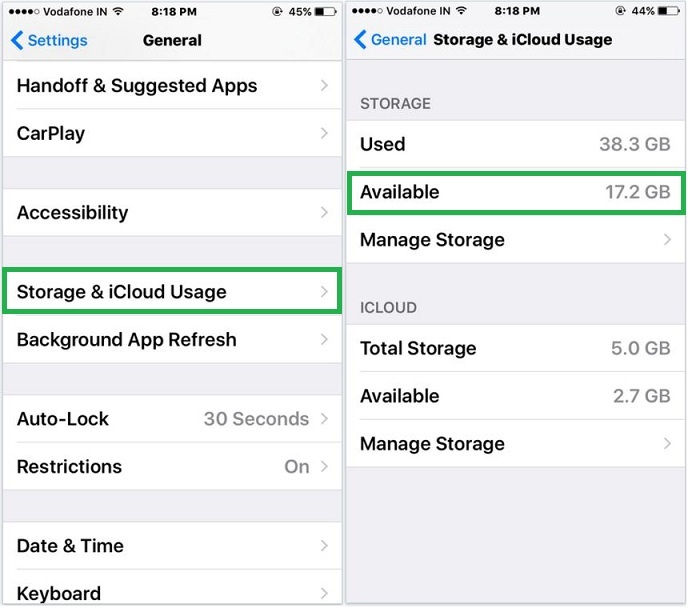 Learn how to free up space using Storage device on iPhone, iPad and iPod Touch. or Remove Documents and Data on iPhone, Other data manually for optimize large space. Next, Sign in again with Existing Apple ID and Password from above setting path. Done your job through iTunes installed on Mac/ PC. Connect your iOS device with PC via lightning cable and From iTunes > App Store > Remove stuck app or waiting for the app from there > install from there and sync with iPhone/iPad/ iPod from iTunes button. Above solutions are the most helpful on the Stuck app on iPhone, iPad or iPod Touch running on iOS 11/ iOS 11.2.2 or Other.